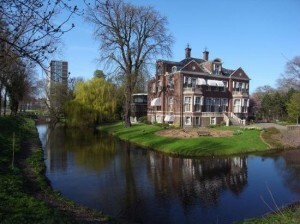 Amstelveen is separate area just south of Amsterdam, though it is well known as one of Amsterdam’s loved suburbs. It is located close to one of the city’s largest and most beautiful park, the ‘Amsterdamse Bos’. Additionally, the area is conveniently close to Schiphol airport. Amstelveen is a green area with lots of restaurants, pubs, international companies, and Amsterdam’s biggest international school, the International School of Amsterdam (ISA). This Amsterdam suburb offers a wide range of housing options; Amstelveen consists of a pleasant combination of Dutch families, suburban singles, pensioners and business people. This quiet and green suburb of Amsterdam has good metro and bus connections to Amsterdam city centre and Schiphol Airport (only 10 minutes away). Amstelveen is mainly a residential area with several shopping centres and an international school close by. Parking is generally free. Where applicable, parking permits are usually instantly available, in contrary to other Amsterdam neighbourhoods.